Each of us has unique characteristics and personalities. Some are attracted to our personality while others are intimidated by it. In seeking friendship, we tend to prefer someone who understands and accepts us as we are, someone whom we resonate with on a deeper level, and someone we can trust and keep our secrets with. Seeking for that friend is like sifting the grain from the chaff. 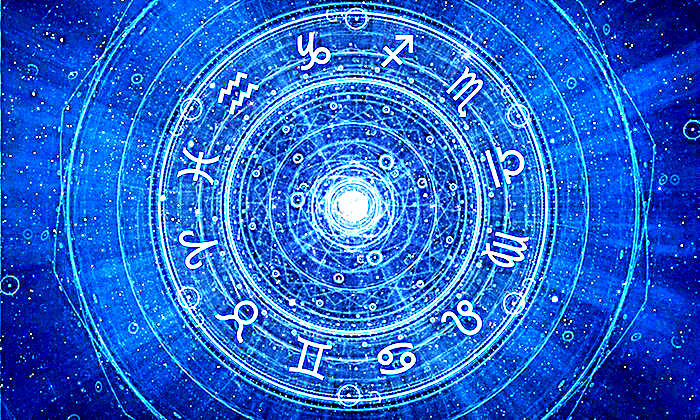 If you want to make the process easier, take a peek on the following guide the zodiac prepared for you. Aries are adventure lovers. You exude confidence through your dominating personality. You fulfill your ambition by the abundant energy you possess. You only have to take extra precaution with your tendency to be impulsive and impatient. You find a best friend in Libra. Libra keeps you in line whenever you tend to be impatient. Libra’s balanced nature complements with your extremist personality. And they could be passionate in helping you out. As a Taurus, you are naturally persistent, loving, and perceptive to others feelings, though you seldom show it. Despite your admirable strength and generosity, stubbornness could lead you to trouble at times. You find a best friend in Pisces. Pisces is a kindhearted and supportive friend, who has the ability to handle your stubbornness and even irrationality. They are a shoulder to cry on, a friend who truly cares for you. As a sociable and intellectual individual, you are filled with wit. You are lively, creative and adapt to every situation. Just don’t allow boredom to make you feel depressed. You find a best friend in Aquarius. Aquarius shares the same easygoing nature with you. You both appreciate the simple things in life. With Aquarius on your side, life is always exciting. You love having alone time, not getting enough of it disappoints you. Expressing your feelings is natural for you. Because you value the relationships you have with your family and friends, you tend to be a bit protective and cautious at times. Sympathy and imagination are your strengths. You find a best friend in Sagittarius. With a Sagittarius, you could talk about deep concepts because they appreciate your introverted nature. Sagittarius are optimists and could influence you out of your bad mood. They could even encourage you to try new things. Leos are naturally-born leaders possessing charisma and willpower, Despite that, you are generous, creative, enthusiastic and caring. Because of your desire to be at the center, others find you bossy or intolerant. You find a best friend in Capricorn. Capricorn’s personality strength is organization, while yours is leadership. Together, you are about to conquer the world and nothing is stopping you both. Your pompous nature is balanced by Capricorn’s patience and selflessness. Being a perfectionist could either be Virgo’s greatest asset or weakness. People find you charming and modest. Your keen eye for detail keeps you focused and prosperous. You are a reliable person despite your secretive nature. You find a friend in Aries. Aries shares with you the inclination to whimsical things. Your calm nature balances out with Aries’s eagerness for adventure. With Aries, you found a strong friend who will stay with you through the hurdles of life. As a scale, Libra upholds balance and justice in high esteem, being diplomatic and outspoken for what you believe in. Your other side is being indecisive at times. Friends enjoy socializing with you because of your sophistication and easygoing personality. You also have a passion for music and art. You find a best friend in Leo. Your appreciation for beauty draws you to Leo, who symbolizes power and royalty. The kind Leo matches well with your energy and creativity. Of all the zodiac, you are the boldest. You have a passionate and determined force that makes you conquer any obstacles. Only that you have to be careful with your perseverance, it may make you compulsive. Aquarius’ gentleness evens out your daringness. With Aquarius, you find a loyal and honest friend, a friend whose unique way of thinking lifts you up. Your profound optimism is complemented with your straightforwardness and impatience for frivolity. Freedom matters to you, and you express it through your love for exploration. Being a philosopher at heart, mental challenges turn you on. As a practical individual, Capricorn blends well with your optimism. They will always lend a listening ear at your down moments. Your organizational skills coupled with practicality drive you to achieve your goals. While careful planning helps, it leads you to pessimism at times. You are reserved and sometimes need a certain amount of prodding to get you talking. Hence, you are a great friend with lots of patience and humor. You find a friend in Sagittarius. Having a forthright personality, Sagittarius contributes to your systematic lifestyle. Sagittarius is always there to cheer you up and have their backs on you. Being inventive and unconventional, it is easier to satisfy you. You enjoy art and socializing and are honest and loyal. You adhere to humanitarian causes, yet tend to be lazy when your inspiration bucket runs out. You find a best friend in Taurus. A stubborn Taurus has a heart in the right place making them a compassionate friend who always encourages you to do the things that matter to you. Taurus knows when you are upset and do what needs to be done to help you out. As a giver, you are selfless and may even be taken advantaged of by others. Your devotion to relationships makes you willing to extend compassion and sympathy when friends and family seek you out. Staying on the sidelines is okay with you because you know your emotions well and at times trust your intuition. Scorpio sees clearly when you are complacent and strive their best to motivate you. Scorpio is a dedicated friend who will stick with you no matter what.